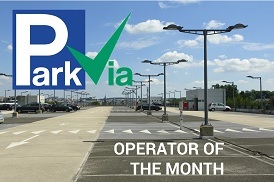 Our Operator of the Month for June is Park&Fly P600 Eindhoven Airport. The car park was selected as it received the greatest number of positive reviews during the month of May, so when you book with this car park, you know that it's tested and loved by our customers! Park&Fly P600 Eindhoven Airport is located just a 600 metre walk from the terminal building at Eindhoven Airport and open 24 hours a day, 7 days a week, so drivers can choose a time to drop off and pick up their vehicle at a time that suits them best. To enter and exit the car park, drivers must enter the access code given to them at the time of booking. Once drivers have gained entry to the car park they can choose any parking space available to them. For safety and security there is a perimeter fence and barrier entry so drivers can relax safe in the knowledge that their vehicle is in safe hands whilst they are away. Drivers can also keep their car keys whilst away on their trip. Parking for a week at Park&Fly P600 Eindhoven Airport starts from *€ 46.00. Choose parking with Park&Fly P600 Eindhoven Airport for affordable, easy and safe parking close to Eindhoven Airport. *Subject to availability. Prices may vary.